Ottawa, Ont. and Silicon Valley, CA. 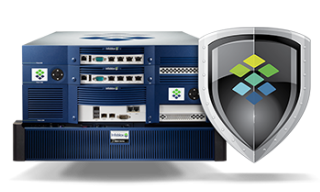 October , 2016 - Pelyco Systems, the leading provider of web-based, collaborative supply chain/logistics visibility and spreadsheet management solutions, today announced that Infoblox, the market leader with largest installed base of in DNS, DHCP, and IP address management appliances, has implemented Pelyco’s enterprise SmartSpreadSheet:Control Tower for their demand forecast, S&OP, weekly build plan and analytic reporting. The demand planning process at Infoblox had issues that made it challenging and inefficient to manage. It was a manual, spreadsheet based process that was cumbersome and relied on the “tribal” knowledge of a few critical resources. This manual process created obvious risk to the business. In addition, the process was time consuming, and included manual handoffs for input between several participants in multiple departments. Another problem Infoblox faced was the distributed nature of the data required for demand planning. The company needed a better method to manage the entire planning and S&OP process and sought out a solution through an RFI. The solution partner selected was Pelyco Systems. Following discussions with Pelyco a comprehensive Control Tower solution for data collection, data management and analytic reporting to support the Infoblox demand planning process was implemented. This included an integrated collaborative SmartSpreadSheet module focused on all aspects of the demand planning and S&OP process. The benefits of Pelyco’s SmartSpreadSheet Control Tower solution to Infoblox were immediate and included; elimination of the manual process, dramatic time reduction to manage the demand planning process, a multi-user, centralized data repository for easy access, a method to track and audit changes, and analytic reports to evaluate decisions, uncover trends and monitor performance. One of the key Pelyco solutions is the Infoblox SmartSpreadSheet powered Top Level Plan (TLP). The TLP is consistently used by the team to manipulate the high level plan into a weekly plan, and also gives Infoblox real-time, forecast versus actual variance and accuracy tracking and reporting. Pelyco Systems is the leading provider of Collaboration Visibility Solutions powered by SmartSpreadSheet™ for the Enterprise, for supply chain intensive companies. Pelyco helps companies solve complex supply chain visibility; planning and operational problems and helps companies of all sizes to become more responsive to changes, and overcome the challenges of managing complex global supply chains.